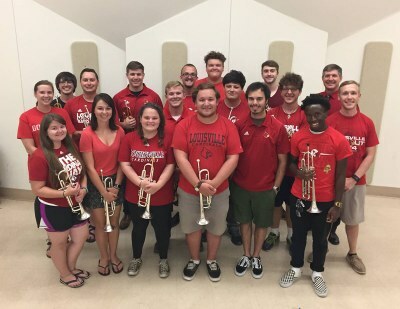 The University of Louisville trumpet studio is one of rich tradition and heritage. Leon Rapier and Michael Tunnell each held the professor position consecutively for over fifty years. As a UofL alumnus myself and student of Michael Tunnell, I am most honored and proud to be their successor. Along with associate professor of jazz trumpet Dr. Ansyn Banks, our goal is simply to provide the best instruction and guidance for all of our students in their goal of becoming top level musicians, trumpet pedagogues, and/or music educators.